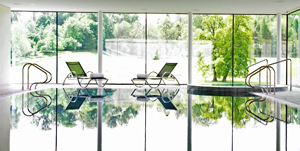 C&IT has teamed up with Bowood Hotel, Spa & Golf Resort in Wiltshire to offer one lucky reader the chance to win a two-night break for two with dinner. Bowood has been home to the descendants of the first Earl of Shelburne and the first Marquess of Lansdowne since 1754. Located one mile from Bowood House, where the Lansdowne family still live, Bowood Hotel, Spa & Golf Resort is located in Capability Brown’s 2,000-acre Grade I-listed Great Park. It has 43 rooms, the Shelburne Restaurant & Bar, a spa, pool and 18-hole championship golf course. For meetings, the modern Kerry Suite can hold 240 theatre-style or 172 for a banquet. There are also two meeting rooms for up to ten people. The prize includes a two-night stay for the winner plus a guest, breakfast, dinner in the Shelburne Restaurant and in the Clubhouse Brasserie, spa access, and admission to Bowood House & Gardens. - please send your answer to the following question to citcomp@haymarket.com by 20 September: What is the name of the hotel’s restaurant? For more information visit www.bowood.org. 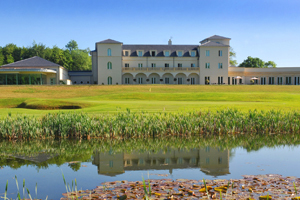 The prize includes a two night stay based on two people sharing a twin/double room, dinner in The Shelburne Restaurant on one night and in the Clubhouse Brasserie on the other, breakfast, use of spa facilities, admission to Bowood House & Gardens (during the open season, from 28 March through to November 4). The above is offered subject to availability and excludes public holidays and half-term weeks. The offer is valid for six months from the publication date. HAVE YOUR SAY: Is Celtic Manor still the UK's best conference hotel?